Hi! This is a large herbivore from the Jurassic period, Stegosaurus.My kids are crazy about dinosaurs. 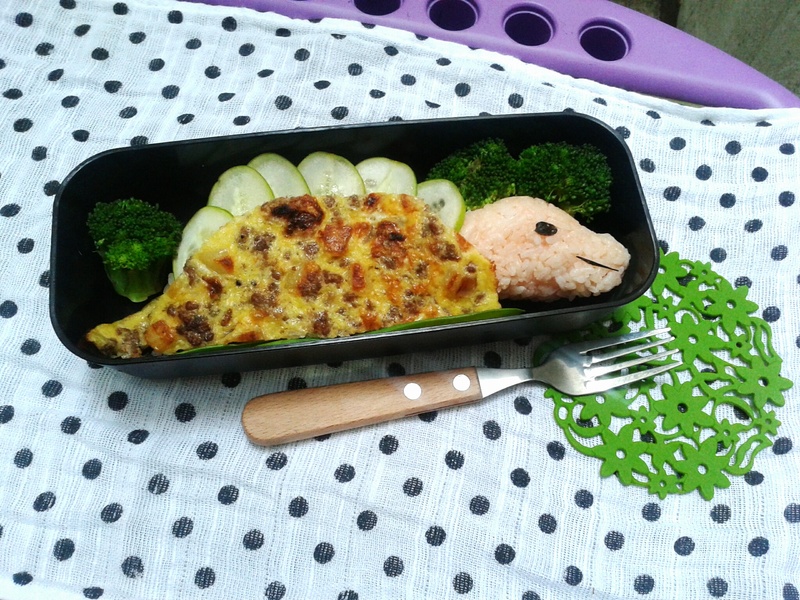 To make the Stegosaurus, you will need rice and nori for the head. Beef Torta and cucumber for the body. Touch is very important to our well being. Studies show that touch therapy, including massage can improve ones overall health. Babies too, can benefit from a full body massage. Studies have shown that massaging an infant can reduce crying and fussiness, help them sleep better, alleviate constipation and colic, and boost their immune system. When it comes to wellness, BlueWater Day Spa never fails to come up with the most innovative and of course, most effective treatments for a sound mind and body.From men, women, and now even babies, BlueWater Day Spa has created a totally family-friendly environment, which is coupled by its exciting and effective roster of wellness treatments. Continuing on with its pursuit of offering clients some much deserved rest and relaxation to help them recharge their weary bodies, BlueWater Day Spa is proud to launch its signature Baby Massage Treatment. 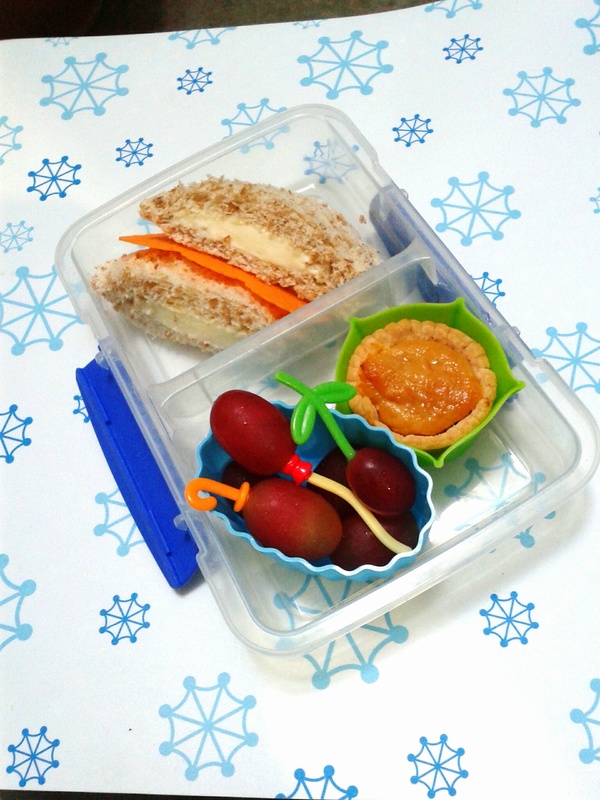 This enables them to address the wellness needs even of young infants and toddlers, as they too, are prone to stress, which is usually caused by the environment and other outside factors. 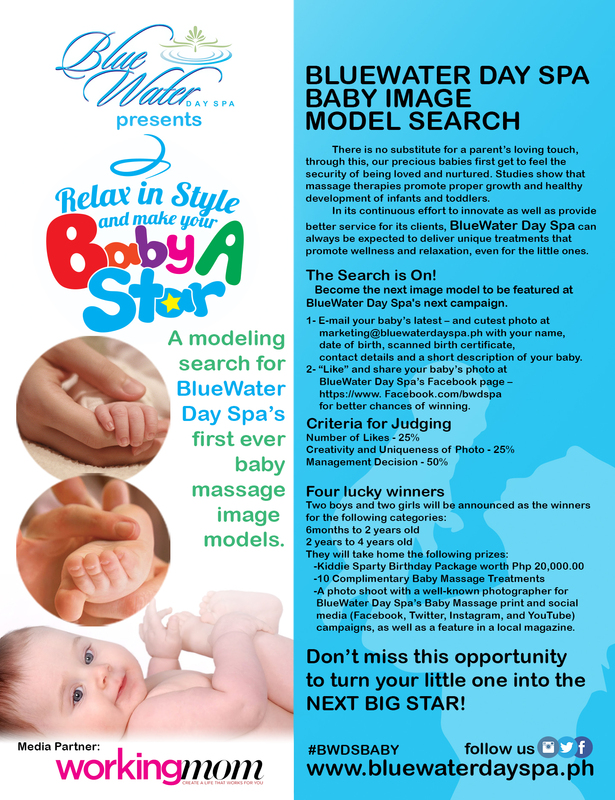 • To be featured in a BWDS Ad Campaign for Baby Massage (online, print, in-store ad collaterals) with photo shoot. I really would love to try to have a post paid line from a reputable network that will give me better service and better value for my money. That’s what I have in mind lately. I want to have a post paid line that will give me balanced calls and texts service. 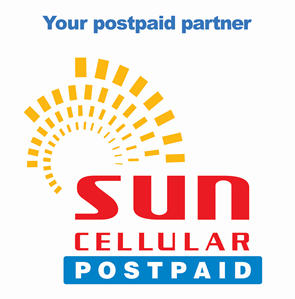 Getting a post paid line is now made easier and more affordable by Sun Cellular. Good thing I found this deal at Sun Cellular. Now they are offering Plan 600 and Plan 999. I studied both the plans and for me they’re both excellent choices. Sun Cellular offers the slimmest phones from Sun Post paid. 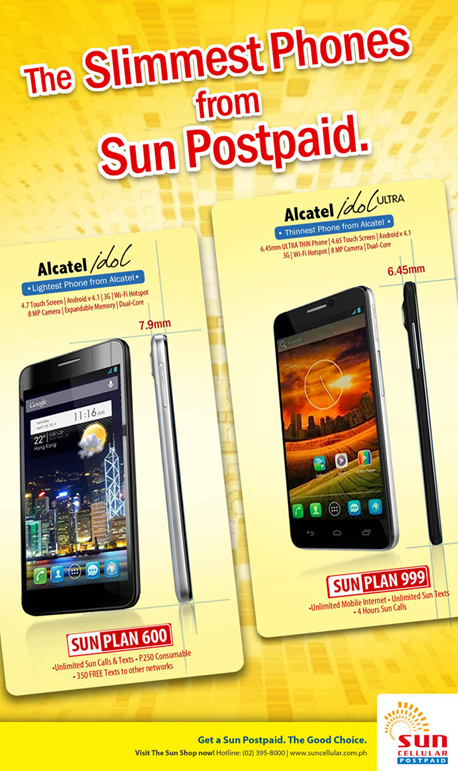 Sun Plan 600 offers Alcatel idol, the lightest phone from alcatel. It has a 4.7 touch screen, Android V 4.1, 3g, wifi hotspot, 8 MP camera, expandable memory, plus it’s dual core. The plan 600 offers unlimited sun calls and texts plus 250 pesos consumable and 350 texts to other networks. The plan 999 on the other hand offers Alcatel idol ultra, the thinnest phone from Alcatel. It is a 6.45 mm ULTRA THIN phone with a 4.65 Touch screen, Android v 4.1 ,3g, wifi hotspot , dual core and 8 MP Camera .What I like most about this plan is that it has unlimited mobile internet, unlimited sun texts and 4 hours Sun call. What more can I ask for? Now, I can’t wait until I get to the nearest Sun Cellular Shop! I’m so excited! This will be perfect for me because I can bring work anywhere with me with this kind of plan from Sun Cellular! Yesterday, I decided to spend time with the deaf kids and participate in their Read Along Program by Development and Accessibility Fund for the Deaf (DeAF Deaf) and Support and Empower Abused Deaf Children, Inc. (SEADC). I tagged along my boys, Luis and Enzo, so they could also interact with the kids. I must admit I was a little intimidated and it felt strange at first but Ms.Liwanag Caldito, the founder of Development and Accessibility Fund for the Deaf (DeAF Deaf) and Support and Empower Abused Deaf Children, Inc. (SEADC) taught us patiently how we can communicate with ease. It was a fun and learning filled afternoon! We were taught simple sign languages that we could use in order to communicate with the deaf. Volunteering is one of my passions in life. I am so happy that I was able to attend this activity for the deaf kids. I felt so humbled and grounded, realizing once again how lucky I am that I can hear, and speak. We were all touched. One of our colleagues from the media even expressed his desire to help in whatever way he can. We may not be able to teach them but we can allot a portion of our time so we could help these kids flourish their communication skills, the same way that we could also enhance our communication with the deaf through sign language. Have you ever laughed your heart out at a joke delivered by a Deaf friend, not because you heard the words together, but because both of you understood the essence of the punch line? Or have you simultaneously learned dancing with your Deaf sister not because you can both hear the music, but because both of you had the rhythm to move? The Deaf and the hearing are different, not in their senses, but special in the way they make use of them. With the imperative need to connect with people who see beauty even if they can’t hear the sound of it, brands and organizations are coming together to break the barrier and move a step towards change. With the distinct confectionery experience brought by its delectable variety of doughnuts, baked goods, and coffee, Krispy Kreme has been touching the hearts and tickling the palates of Filipinos since it arrived in the Philippines six years ago. And as it continues its sweet success in the country, Krispy Kreme is on the move to bring everyone more reasons to smile—not only with its mouth-watering delights but also with projects that resonate with the lives of their valued customers. So, as its birthday gift to all when it turned 75 bright years last 2012, Krispy Kreme launched the Share the Gift of Joy campaign—an initiative that supports the brand’s 12 partner charities which care for the environment, creativity, lives, our animal friends, and of course, kids. Working hand-in-hand towards an altruistic shift, Krispy Kreme is supporting a series of cause-oriented projects led by its partner charities; starting with the Read Along Program by Development and Accessibility Fund for the Deaf (DeAF Deaf) and Support and Empower Abused Deaf Children, Inc. (SEADC). The Read Along Program is one of Deaf Deaf’s immersion programs, done in partnership with Krispy Kreme’s Share the Gift of Joy campaign, set to not only spread joy, but induce change. Put together to immerse people in the culture and language of the Deaf community, the Read Along Program will be a two-way educating session: Deaf children will be taught how to read and improve their vocabularies, while their hearing parents and peers will be shown their learning process and will be given tips on how to properly teach them. To open this intervention program, the Deaf kids and hearing participants will be reading books together—Ogost and CJ and The Flower Who Did Not Know God Was Protecting Her—written by DLS-CSB Filipino Sign Language student Happy Ruth Pamintuan. There will also be an act-the-story game to challenge the comprehension of the Deaf kids, and basic sign language lessons to teach the hearing participants the three-dimensional language of signing to better communicate with the Deaf kids. As a remarkable doughnut and coffee brand that continuously etches its flavors in the hearts of many, Krispy Kreme extends the value of sharing by treating everyone beyond bites and sips. By supporting these remarkable groups, it’s overwhelming to note how brands and organizations are working together to lead a life-changing project such as this. The Read Along Program will not only be an immersion experience, but will serve as a catalyst—launching people towards one noble cause as it breaks the barrier of communication for the Deaf community. Join Finn and Jake as they take you to the Land of Ooo with an all-day event at SM Mall of Asia, brand-new episodes, online games and cool merchandise. MANILA (April 4, 2013) – Cartoon Network, the number one kid’s channel, is inviting kids and their families to join the most mathematical and exciting adventure of the summer, Where in the Ooo Am I, an all-day, free-admission event for all Adventure Time fans on Saturday, April 20 at the SM Mall of Asia. The event kicks-off the wacky summer season, which is now even more algebraic with all-new episodes of Adventure Time airing every Monday, 5:30 p.m. starting April 8. Kicking off at 11 a.m., Where in the Ooo Am I will feature fun games and challenges for the Adventure Time fanatic. And if you play your cards right, you may get your hands on the very first official Adventure Time merchandise to hit Asia! Making its regional debut in the Philippines, the highly exclusive Adventure Time products, featuring apparel for teens, notebooks, home video, flip flops for children, bath towels and handkerchiefs – will be available this April and May in leading department stores across the country. It’s Adventure Time all the way this summer! Don’t miss out on this epic escapade with your friends and families and head down to the SM Mall of Asia on April 20 to experience the fun-filled Where in the Ooo Am I event! For more information on Where in the Ooo Am I and other Adventure Time latest news, log on to CartoonNetwork.com.ph and follow Cartoon Network on Facebook (www.facebook.com/CartoonNetworkPhilippines). Cartoon Network is the leading kids’ channel in the Philippines. Its dedicated Philippine feed offers the best in animated entertainment, drawing from the world’s largest cartoon library of Warner Bros., MGM and Hanna-Barbara titles. 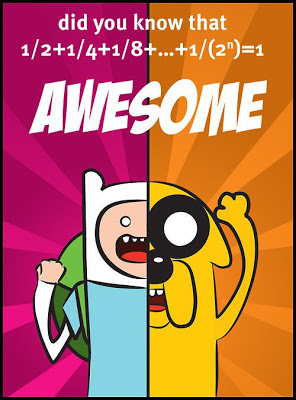 Cartoon Network also showcases popular original series such as Ben 10, The Amazing World of Gumball and Adventure Time. Cartoon Network is available in 23 territories throughout the Asia Pacific region and is currently seen in over 65 million cable homes. Online, Cartoon Network Asia Pacific reaches nearly five million unique visitors a month.